A traditional Portuguese dish, with a spicy marinade. Goes well with salad, rice or fries. Peri-Peri chicken always screams Nando’s to me. Peri-Peri means Bird’s Eye Chilli. The secret of Nando’s grills is their Peri-Peri Sauce, which has to be made with these chillies. But since I didn’t have these chillies with me, I added a teaspoon of red chili powder and it tasted good too. 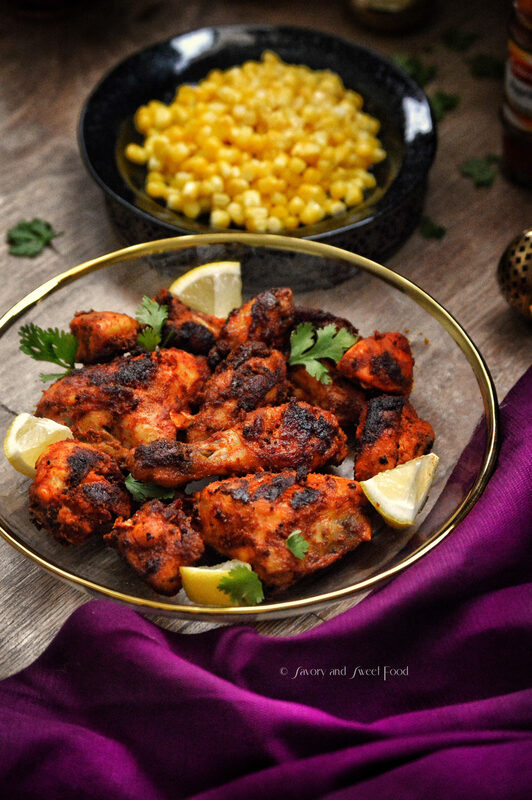 Traditional Peri-Peri marinade also has red bell peppers, bird’s eye chili peppers, cilantro leaves. I randomly added paprika instead of the bell peppers, red chili powder instead of chili peppers. Im hardly an expert, so I do not claim that this is the most authentic Peri-Peri you’ll ever eat, but this is surely going to be my go to recipe. 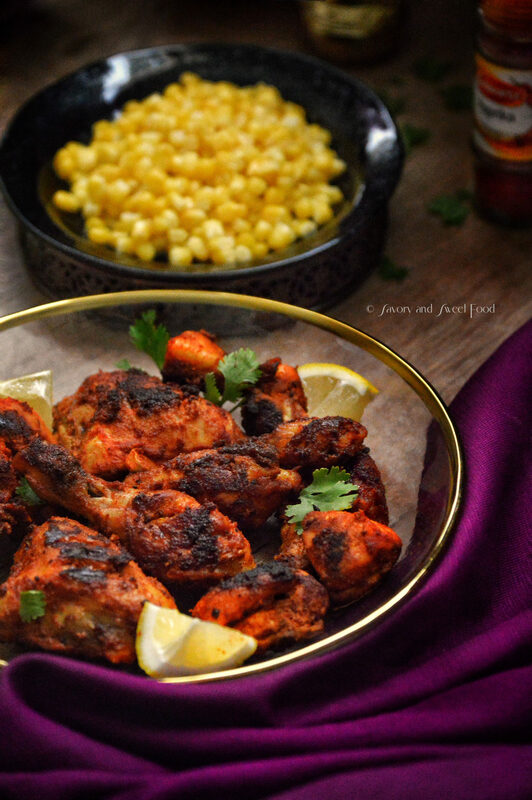 Cooking Peri Peri chicken is a breeze because all you have to do is marinate the chicken with all the ingredients and grill. The best way to cook the chicken is by grilling on a barbecue to get that smokey charred flavor. But you can bake it too, or just shallow fry in little oil. Either way, it tastes awesome. Add all the ingredients to the chicken. Mix well. Shallow fry in little oil, or grill in oven. If you are grilling add 1 tbsp of vegetable oil to the chicken too. We all love to give our twists of recipes isn’t it? That chicken has an amazing color! Wishing you and family a blessed 30 days. For peri peri you don’t use the peri peri sauce? Or is it that u missed out on your ingredients list? also cumin powder, is it the home made grounded one or bottled one from store? Planning to try this one out so…. Walaikumsalaam wa rahmatullahi wa barakathuh. No, I didn’t add peri peri sauce. The main ingredients are the paprika and red chilli (which are the key ingredients in peri peri sauce). 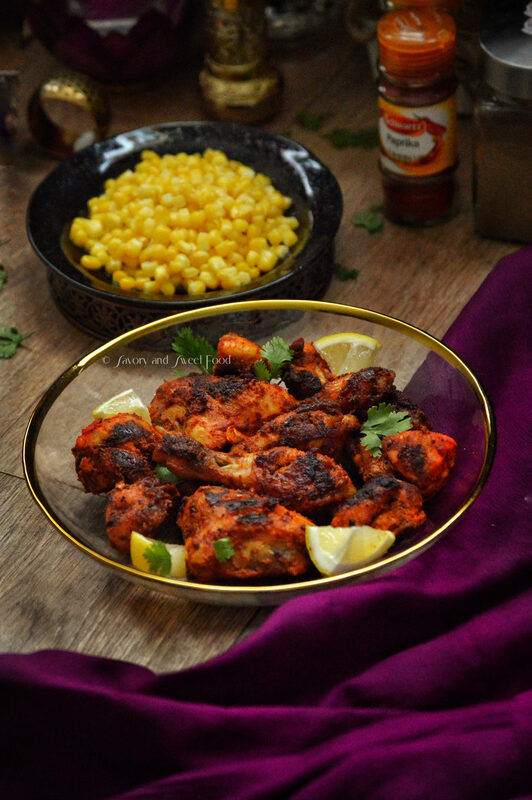 And yes, this is not the traditional peri peri recipe, it’s just an easier version. You can use either homemade or store bought cumin powder. 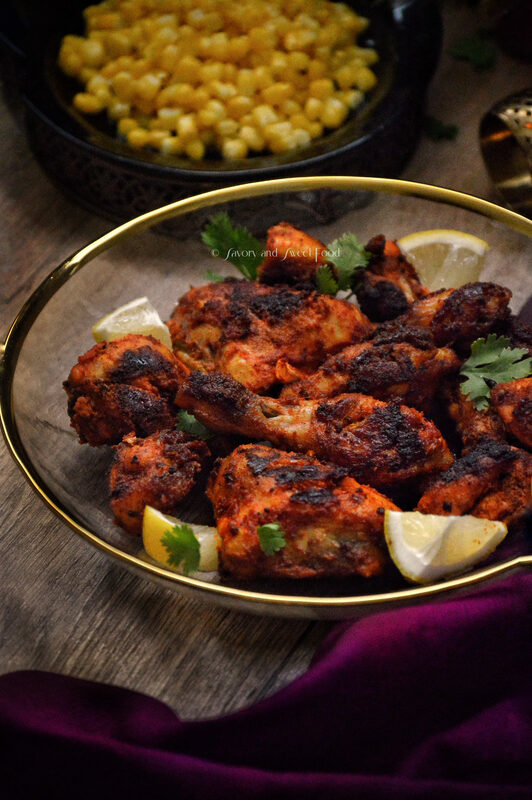 Peri Peri Chicken Also famous recipe , people always want Chicken Peri Peri.